There is also a provision of imprisonment for a term, which may extend to three years and fine for violators. 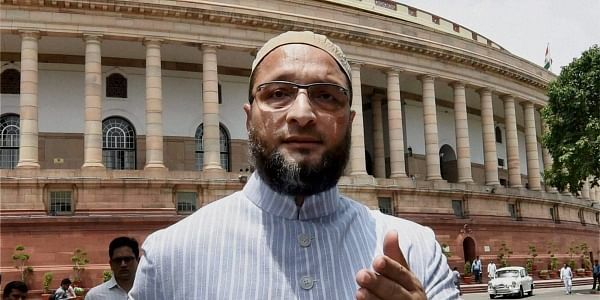 NEW DELHI: All India Majlis-e-Ittehadul Muslimeen (AIMIM) president Asaduddin Owaisi on Thursday gave a notice in the Lok Sabha opposing the introduction of Muslim Women (Protection of Rights on Marriage Bill) 2017. Owaisi, gave the notice opposing a move to criminalise triple talaq. This came after the bill to criminalise triple talaq was cleared by Union Cabinet. The Bill, which seeks to criminalise the practice of triple talaq, will be tabled in the Parliament by Union Minister Ravi Shankar Prasad today. The draft bill says, "Any pronouncement of talaq by a person upon his wife, by words, either spoken or written or in electronic form or in any other manner whatsoever, shall be void and illegal". There is also a provision of imprisonment for a term, which may extend to three years and fine for violators. The draft bill also envisages entitling divorcee Muslim women for maintenance. It also has a provision for the divorcee Muslim women to have the custody of their minor children. The offences under the purview of this bill will be cognisable and non-bailable. The Bill shall extend to the whole of India except Jammu and Kashmir.